I may not get each and every thing done by then, however, I’m making it my mission to do so! Just know; it will eventually ALL get done! The cleaning bug bit me when I found a (new for me) cleaner and air freshener. Guess it gave me most motivation for cleaning. 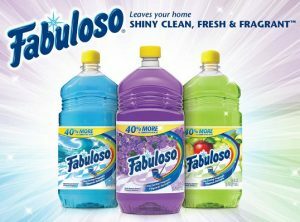 Have you heard of Fabuloso? It’s now a main staple in my home. I have a spray bottle under both my kitchen and bathroom. LOVE this stuff! <3 I use the Lavender scent. 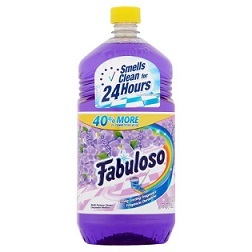 My home smells so much nicer and fresher due to Fabuloso. Plus, it gets it good and clean. Basically, Fabuloso ingredients contain water, sodium dodecyl benzene sulfonate, and fragrance. The variety of scents also include added baking soda, pine oil extract and bleach alternative. 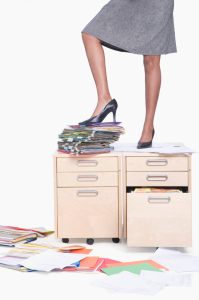 I’m currently cleaning and organizing my office, as well as cleaning out cabinets and drawers throughout the rest of my home. I’m feeling amazing as I get things done!